Dora Pejačević (in old documents also Pejacsevich) was born in Budapest, the daughter of a Croatian ban, Hungarian-Croatian Count Teodor Pejačević and Hungarian Baroness Lilla Vay de Vaya, herself a fine pianist. Her mother gave her first piano lessons. Paternally, she descended from the old Croatian noble Pejačević family, one of the most distinguished noble families in Slavonia, eastern region of Croatia. Dora began to compose when she was 12. She studied music privately in Zagreb, Dresden and Munich and received lessons in instrumentation (from Dragutin Kaiser and Walter Courvoisier), composition (from Percy Sherwood) and violin (from Henri Petri in Munich). She was largely self-taught, however. She married Ottomar von Lumbe in 1921. 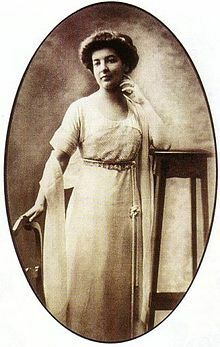 Although Pejačević led a lonely life, she met many prominent musicians and writers, and befriended Austrian journalist and writer Karl Kraus and Czech aristocrat and patroness of arts Sidonie Nádherná von Borutín. Dora died in Munich in 1923, a result of complications following a difficult childbirth (of her son Theo), and is buried at the cemetery in Našice, Croatia. Dora Pejačević is considered a major Croatian composer. She left behind a considerable catalogue of 58 opuses (106 compositions), mostly in late-Romantic style, including songs, piano works, chamber music, and several compositions for large orchestra, arguably her best. Her Symphony in F-sharp minor is considered by scholars the first modern symphony in Croatian music. Most of her music has yet to be published and released on compact disc, although concerted efforts have been made recently to rectify this situation. For example, the Croatian Music Information Centre has published some of her scores, including three of her orchestral works (Piano Concerto, Symphony, and Phantasie Concertante). In 2008, the Center also published a bilingual monograph (in English and Croatian), written by the Pejačević scholar Koraljka Kos, accompanied by a first all-Pejačević CD of piano and chamber music. Her life is the subject of a fictionalized Croatian biographical film Countess Dora (1993), directed by Zvonimir Berković and starring Alma Prica and Rade Šerbedžija. ^ Historicisim in Croatia Vladimir Maleković, Vesna Lovrić Plantić, Graham McMaster - 2000 "In this period Josip Hatze composed the first modern cantata in Croatian music5 ; Dora Pejačević, Bersa and Baranovic introduced the song for voice and orchestra." Kos, Koraljka. Dora Pejačević: Leben und Werk. Zagreb: Musikinformationszentrum Konzertdirektion, 1987. This page was last edited on 10 December 2018, at 03:15 (UTC).